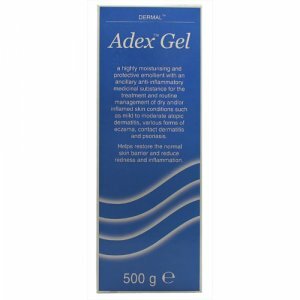 Adex Gel is an anti-inflammatory protective skin emollient. 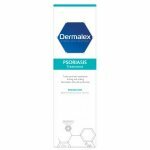 It is used to treat and manage dry or inflamed skin conditions including mild to moderate atopic dermatitis, various forms of eczema, and contact dermatitis. 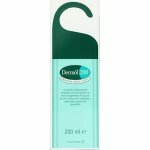 Adex Gel is a highly moisturising and protective skin emollient which has an ancillary anti-inflammatory medicinal substance. 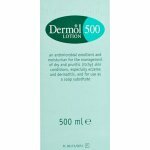 It helps in the treatment and routine management of dry and/or inflamed skin conditions such as mild to moderate atopic dermatitis, various forms of eczema, contact dermatitis and psoriasis in circumstances where ancillary anti-inflammatory action added to the primary emollient action may be beneficial (e.g. during flares). Such use may help reduce reliance on more potent anti-inflammatory treatments such as corticosteroids and immunomodulators. 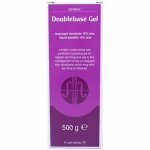 Gently smooth Adex Gel over and around all dry and/or inflamed skin areas. For best results, use a few gentle strokes to smooth the gel across the skin in the same direction as hair growth. If necessary, allow time for any excess to soak in. Do not rub the skin vigorously. If you are using other topically applied products, any instructions supplied with the other product should be followed to allow adequate time for absorption before applying Adex Gel. The time allowed should normally be around 30 minutes for topical corticosteroids and up to 2 hours for certain calcineurin inhibitors. 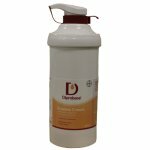 This is to avoid diluting the other product and spreading it to areas that do not need it. Carry on using Adex Gel for as long as necessary – whether that may be only occasionally, e.g. during flares, or continuously if the added anti-inflammatory action is beneficial. If there is no improvement within 2 to 4 weeks, ask your doctor or pharmacist for advice. Pregnancy and breast-feeding: Vitamin B derivative requirements, such as nicotinamide, are increased during pregnancy and infancy. However, safety trials have not been conducted during pregnancy and while breast-feeding. Therefore caution should be exercised, particularly in the first three months of pregnancy. Ask your doctor or pharmacist for advice before using this product. Carbomer, Glycerol, Isopropyl Myristate, Liquid Paraffin, Nicotinamide, Phenoxyethanol, Sorbitan Laurate, Trolamine and Purified Water.